I want to "like" this! Amazing photos. Too cute! Nice bit of facepainting too. You don't fancy flying over on Friday do you. I am painting circus tattoos on children. Could do with a hand! Sooo sweet! So does she 'like butter'? 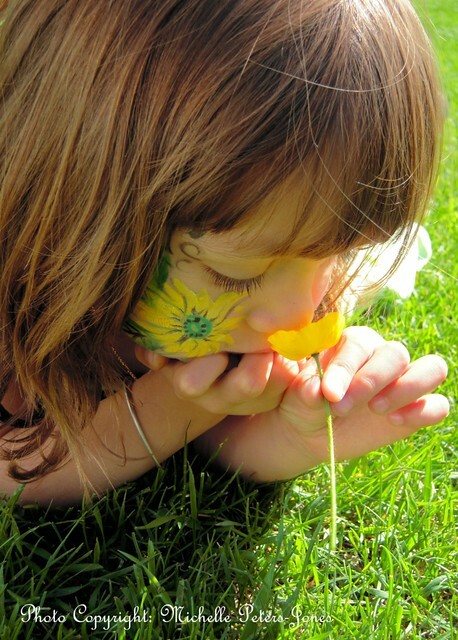 We played that game with buttercups when we were kids! 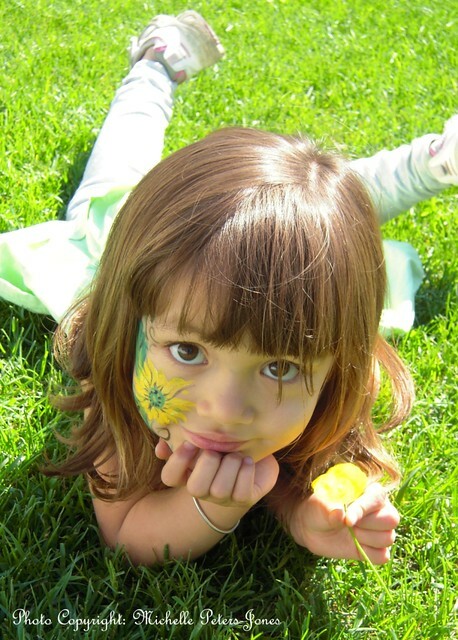 The facepainting is just so very cute!